Quick. What new ones came out that I don’t know about. My own opinion is that the Lectures are so very accessible and readable. A wonderful way to enter the world of Foucault. Something to hook you in and keep you there. Can you tell how much I love him. It makes a difference where you enter the world of Continental Philosophy and it makes a difference with whom. I entered with Rabinow on Foucault and Interpretation, Hermeneutics, etc. Where did some others enter? 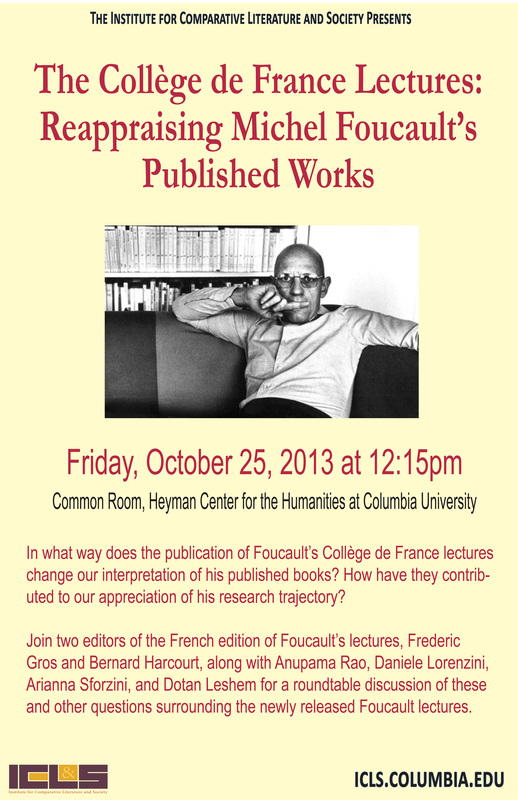 Another New York event on Foucault’s lectures. How about organising an online audio/visual discussion group? That would be wonderful. Please do this.